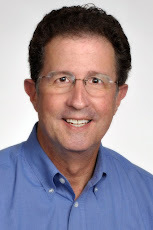 Todd Leiser: What was the most popular coupon search this summer? The answer may surprise you. What was the most popular coupon search this summer? The answer may surprise you. 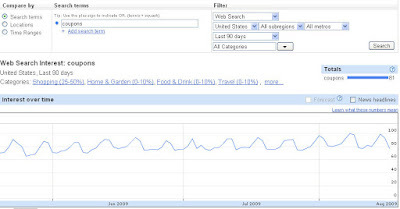 Google upgraded it’s Search trends tool, Google Insights for Search (beta) this week. You can read all about it here. As a coupon marketer I played around with the search terms “Coupons”, “Printable Coupons” and “Online Coupons” and some interesting and not so interesting data. 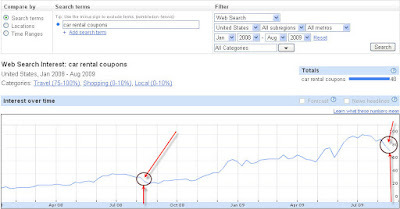 The search trend for "coupons" are up. We know that. It's been well documented. Searching for “coupons” surges on Saturdays. Consistently. Except for holiday weekends (such as the 4th of July). Why Saturday? Because people have more time to search for what is arguably a primarily personal consumer oriented term? Is it because of the specific type of coupon they’re looking for? Some might suggest it's in preparation for grocery shopping over the weekend. Sunday is traditionally when Grocery coupons arrive in the Sunday newspaper as Free Standing Inserts. But, after top terms “Printable Coupons”, “Free Coupons” and “Online Coupons”, Google Insights shows the specific sector of top searches to be: “Car Rental Coupons” followed by “Restaurant Coupons”, “Pizza Hut Coupons” and then “Food Coupons”. So why are “Car Rental” coupons been the most popular coupon search? Ah, the data I was looking at is for the past 90 days. Summertime! Vacations. Fly-in and rent a car. Car rental coupons popularity as a search term has increased in parallel with coupon searches in general over the past 20 months (January 2008-August 2009) but you can obvious see the impact of vacation season, as in the summer of 2008, searches dropped off by 33% the 2nd week of August and we’ve seen a similar trend this year as we passed the 2nd week of August and presumably summer vacation season has ended and school is about to start up again. There are many more insights (no pun) in just my industry of interest that seasonality and geography play into the data. I’ll explore this in future posts. For the time being I think it’s significant to focus on the reasons behind the weekend surge of activity (in general - not just car rental coupon searches) and what this means for traditional coupon & promotional marketing. For what the numbers in the charts mean, click here. This is US-only data.